I love having friends come for dinner. This evening we’ll host another couple, share some good laughs, a few good rants, dinner, and a bottle of wine. I also love old-fashioned cakes, made from scratch. I think of them as “homely,” as they aren’t highly decorated. 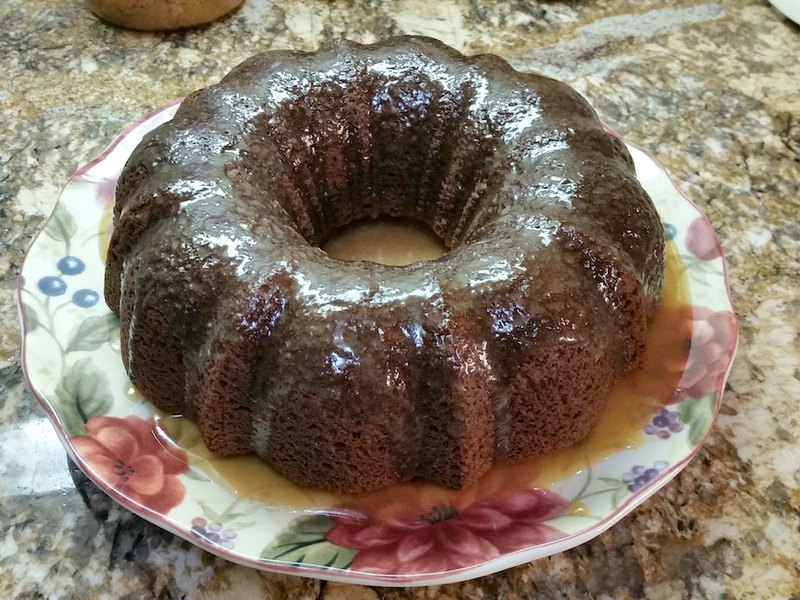 I wouldn’t win the Great British Baking Show with my skills, but we’ll enjoy this applesauce bundt cake with brown sugar glaze, with a little ice cream for dessert! 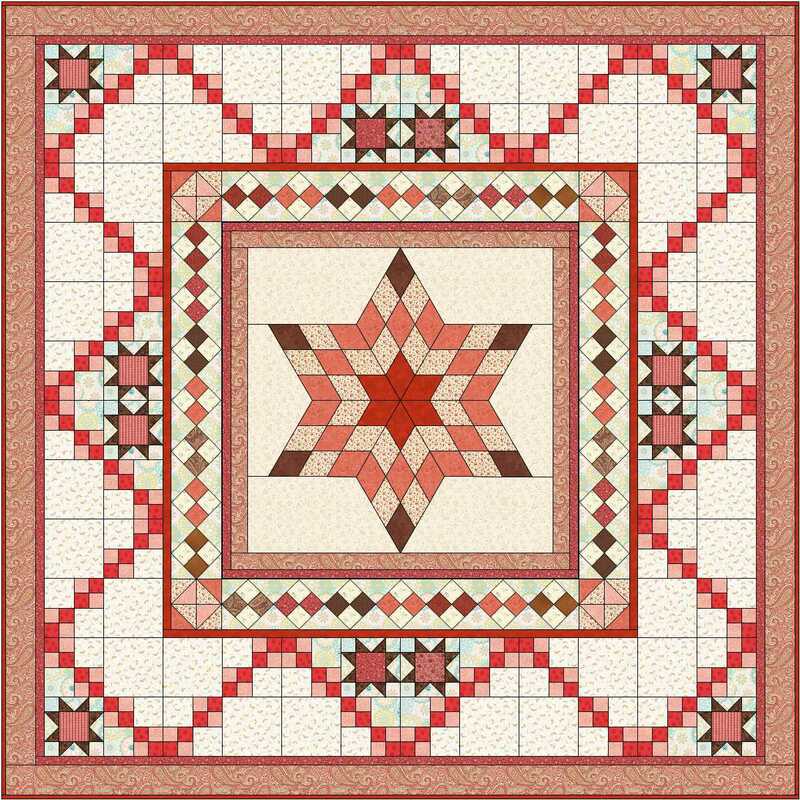 It’s worth mentioning my take on quilting medallion-format quilts. 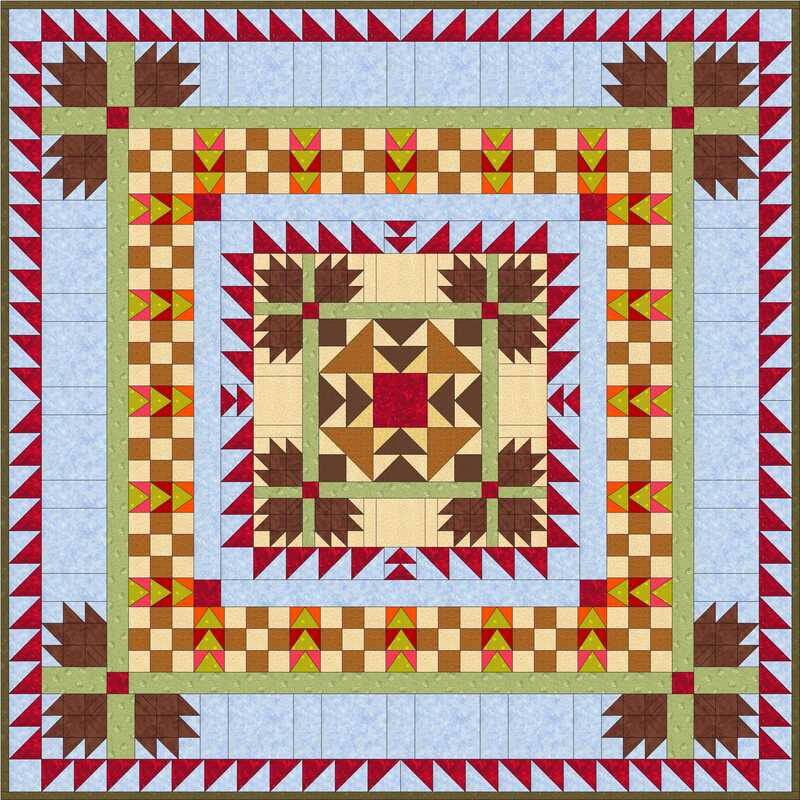 For machine-quilting, you can choose to do an all-over design; quilting that is custom, or different in each segment or border; or some combination. Usually I do an all-over design. I’ve custom-quilted a few for which, after the fact, it seemed like a waste of effort. 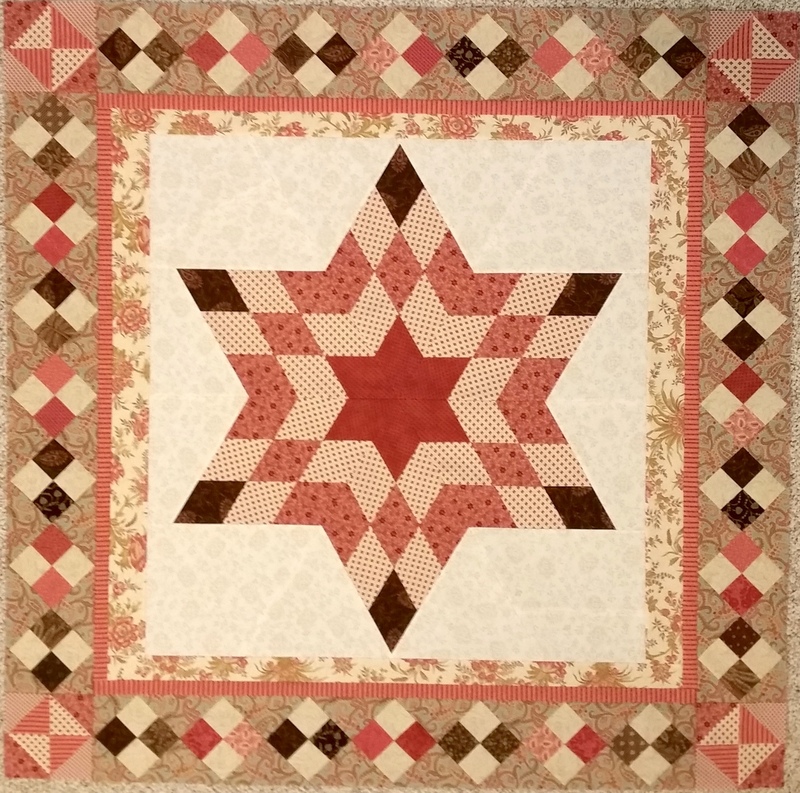 There was so much going on with the piecing that the quilting didn’t add much, and I could have done something much simpler. And there are others for which I simply couldn’t have chosen an all-over design. Because this one has a fair amount of appliqué, I decided to do custom. That makes it a much slower process, but it’s coming along and will be done soon! 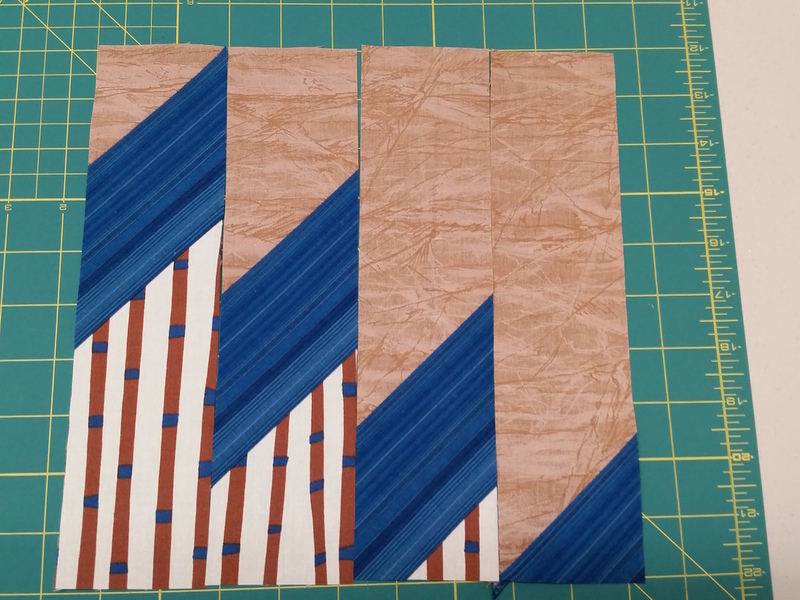 While I waited for the longarm to warm up this morning, I took a few photos in my studio. They have some ideas you might find useful. I usually sew (piece) with So Fine 50wt. polyester thread on cones. The cones don’t fit my domestic machine, so I keep the cone in a cup next to the machine, and run the thread through the loop of a safety pin. I have a lot of storage in my studio. (Click any picture to open the gallery and see detail.) My fabric stash is in the TV armoire. Almost all of it is in the plastic bins in the top. Other things (scraps, current projects, bags, etc.) are stored under my cutting table in rolling drawer sets. The table is a basic folding table, available at any big box store. It is on “stilts” made of PVC pipes cut to length. The third picture is of an open cabinet we got at a garage sale 100 years ago. The new addition is the wire under-shelf bin that holds my overflow of thread cones. On top of the cabinet is my bobbin winder for the longarm. 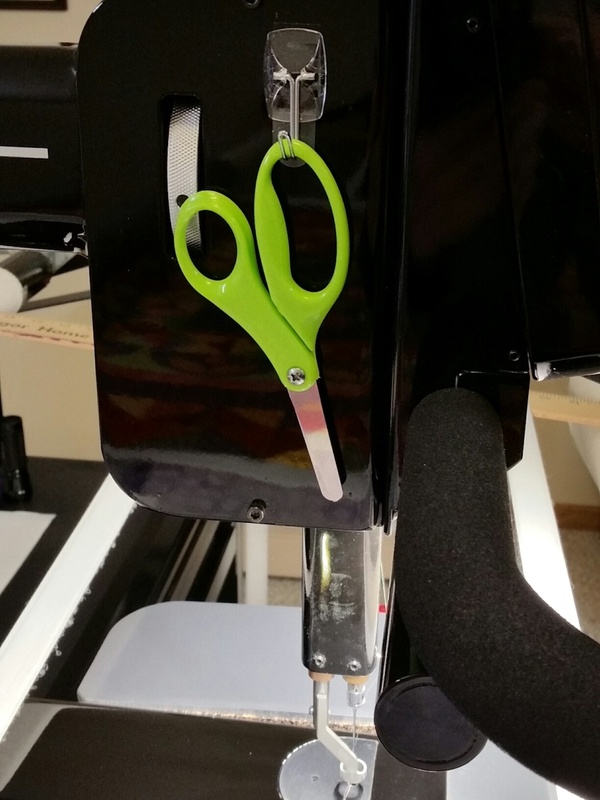 For a few years I’ve used Fiskars blunt-tipped school scissors when I quilt. They will keep me from punching a hole in a quilt top by accidentally dropping pointy scissors on it. But I never had a good place to put them and found reaching for them (where are they now??) awkward. For Christmas Santa brought me a package of lightweight 3M Command hooks. 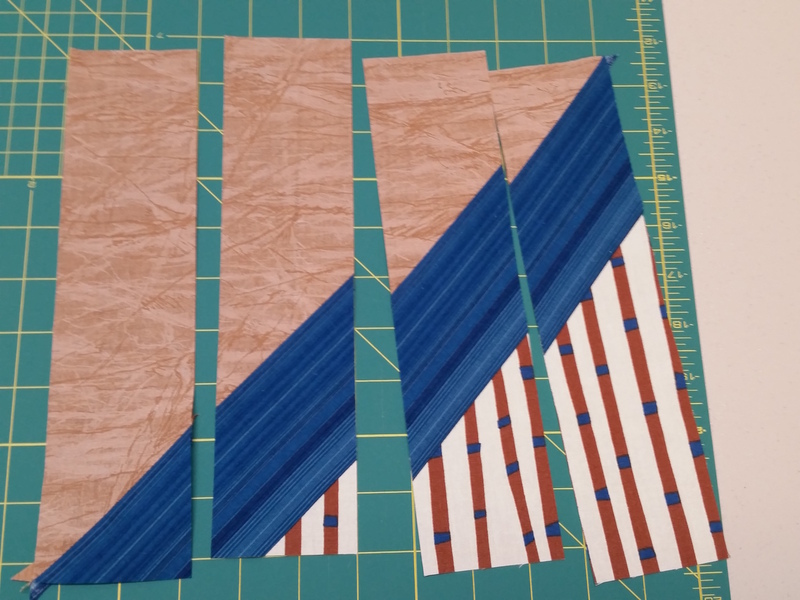 I applied one to the side of my longarm and now I know exactly where the scissors will be. Next I’ll put one on the side of my domestic machine for the small scissors I use there. At the back of my cutting table is a rack to hold my cutting rulers. Yes, that’s all of them! I had a plastic letter holder for years, foraged from work during a long-ago closet-cleaning. Last summer I purchased a prettier one, and every time I see it, I’m glad I bought it. I also keep a yogurt cup with lid on the table. In it go all my dead needles, bent pins, and dull rotary blades. I’ve used the same one for years. If it ever fills up, I’ll tape it shut with duct tape before putting it in the trash. 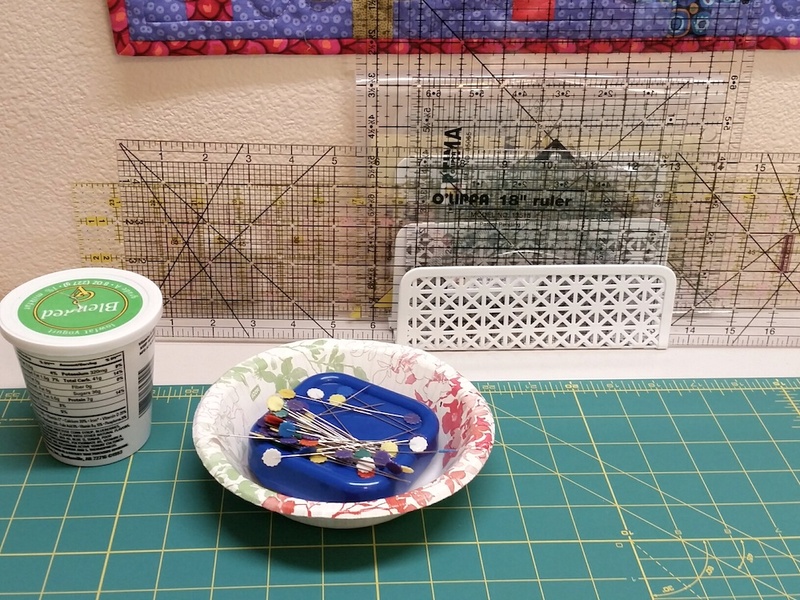 The other item you see is my pin magnet, for long pins I use on the longarm. It sits in a paper bowl. The bowl keeps the pins corralled just a bit better than the magnet by itself. I keep another bowl-and-magnet of fine straight pins next to my domestic machine for piecing duty. Last but not least is a photo of some of my studio lighting. On either side of the room I have a LED utility light. 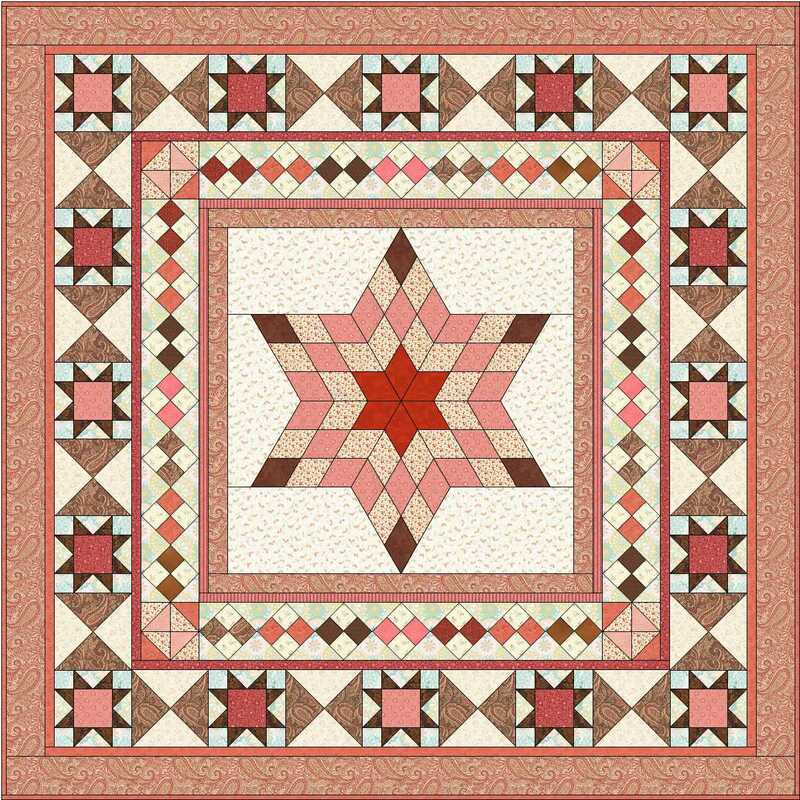 This one can be removed from the wall above the window, and used for extra light when we photograph finished quilts. The LED strips are inexpensive and give great quality of light. 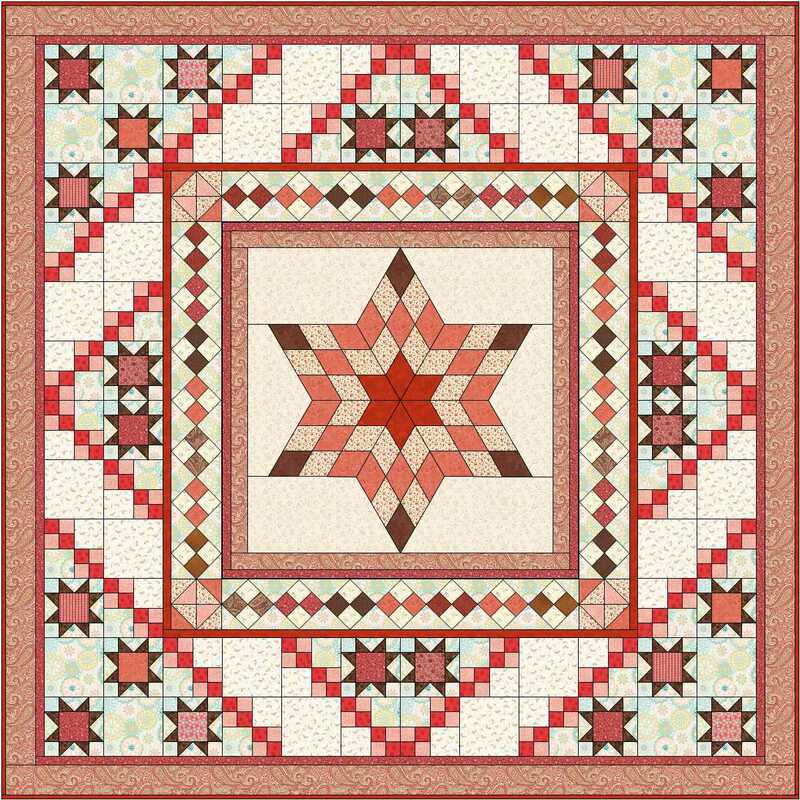 This entry was posted in Quilting and tagged Ideas, Tips on January 6, 2019 by Melanie McNeil. 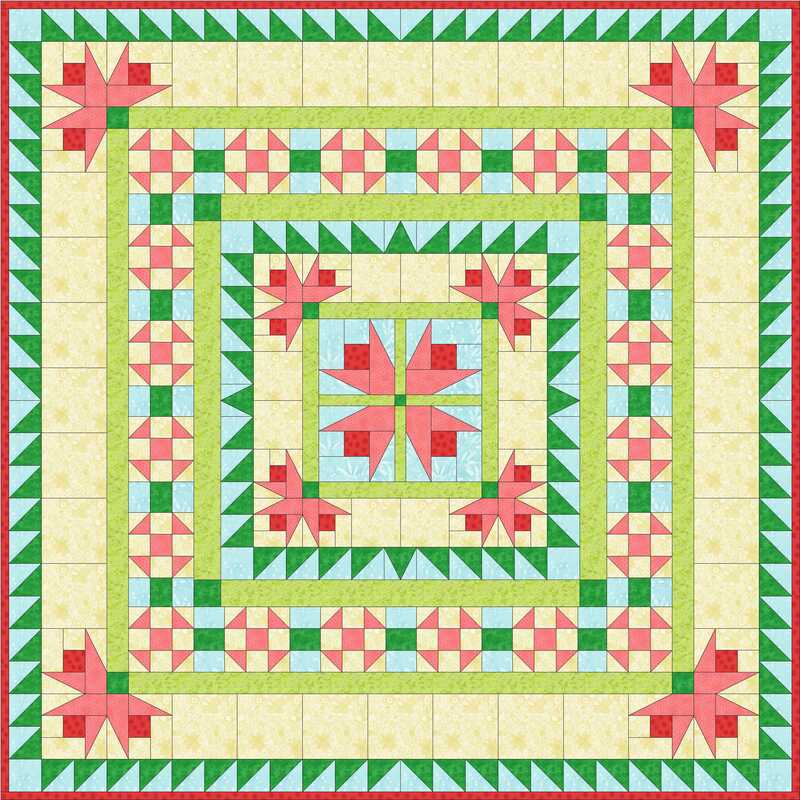 My friend Kate commented on a quilt illustration I drew in EQ7, shown in my last post with two other designs. The three designs all use the same strategy. 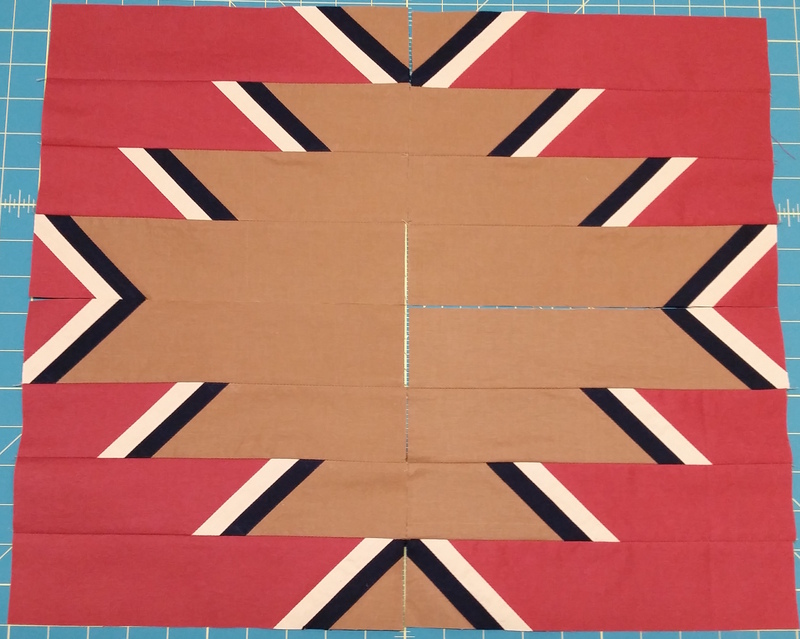 The first main border wraps blocks around the center’s corners, leaving the middle of the border unpieced. The effect seems to strengthen and extend the center block. I changed the colors, but that’s not all. 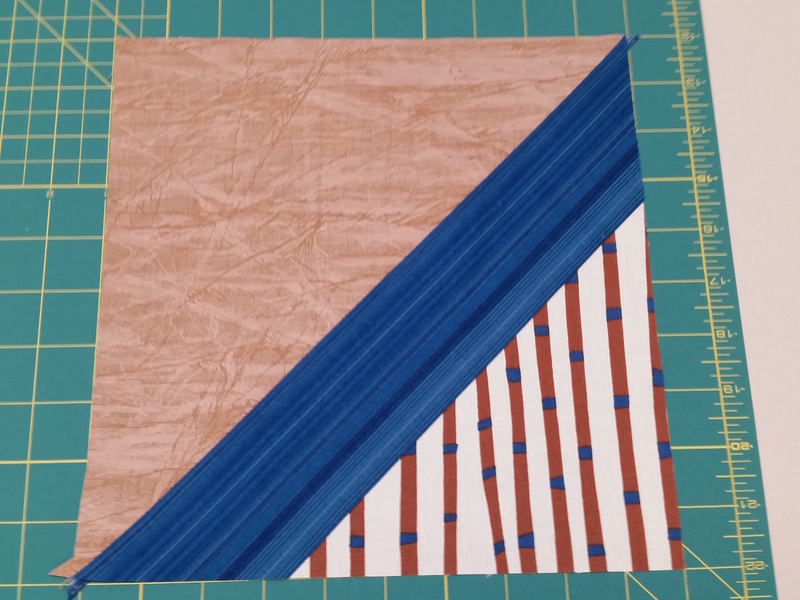 The center block now is 4 blocks, separated by a narrow sashing. In the borders, the tulip blocks touch each other, rather than being separated by the narrow spacer blocks that give the bear’s paw effect. 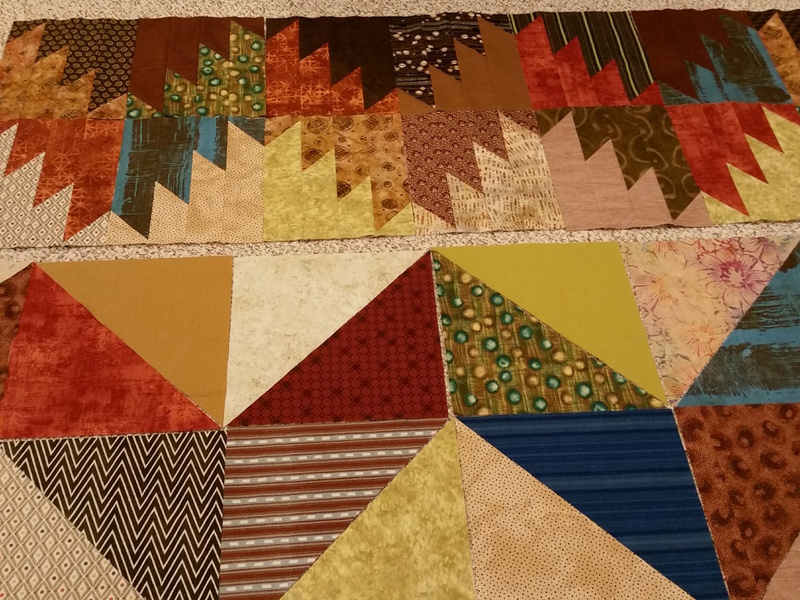 And besides the lighter, brighter colors, the change in blocks gives a more feminine tilt, too. Otherwise the design is the same. 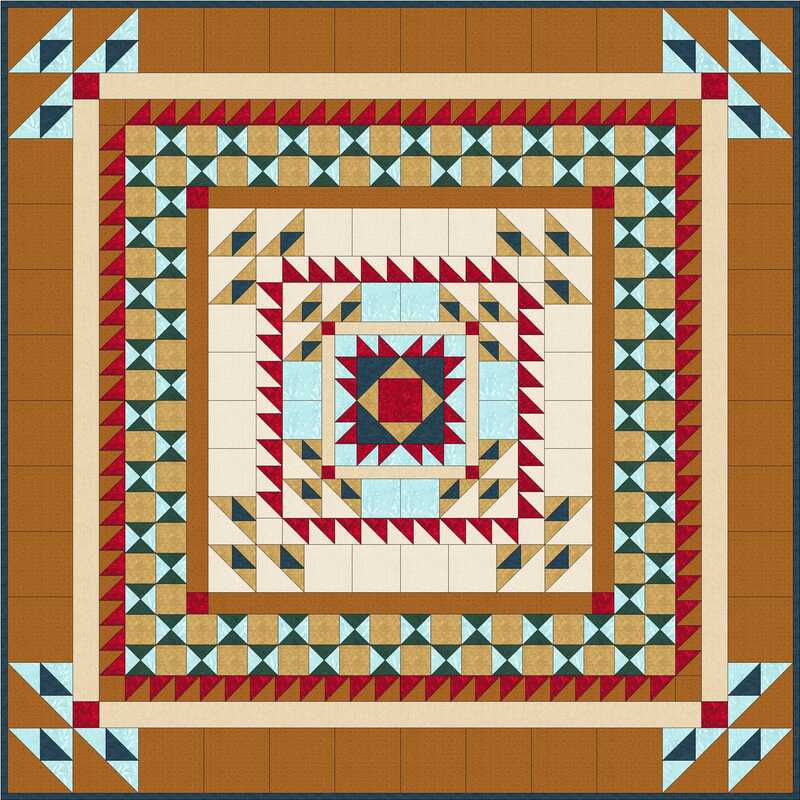 The total size for both is 72″; border widths and lengths are the same; and the basic layout is the same. Which one do you like better? Do you have other ideas for the same border device? 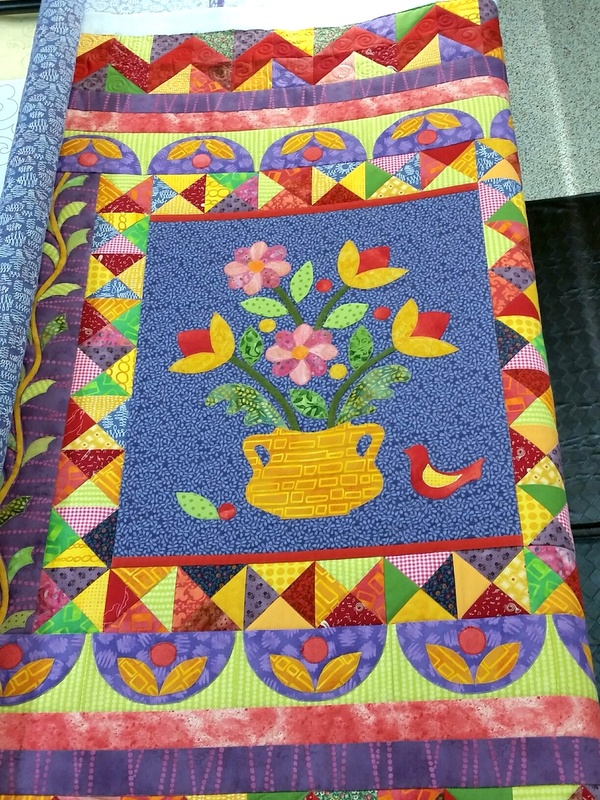 This entry was posted in Medallion Quilts, Quilting and tagged Borders, Corners, Design, EQ7, Ideas, Inspiration, Medallion quilts, Original design, Quilt borders on July 12, 2015 by Melanie McNeil.